Pressure cooking is a method of cooking food using liquid in a sealed container where steam is produced. Foods cook quickly in a pressure cooker - casseroles, for example, can be made in well under an hour. 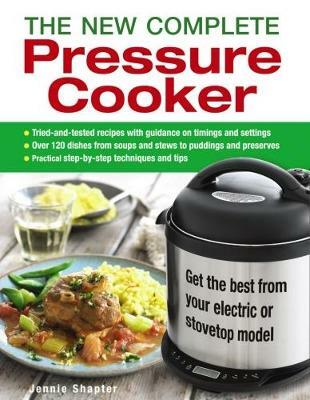 This book will take you through the basics of choosing a pressure cooker, how they work, which best suits your needs, as well as providing you with lots of exciting recipes to try. From soups and stews to puddings and chutneys, there are over 120 nutritious ideas, each featuring step-by-step instructions and beautiful photography. No matter which pressure cooker you decide to buy or already own, this book is guaranteed to help you get the best results.